I wanted to share an online store that offers fashions for less worldwide. What drew me to Wholesale 7 is their located, in China. I've seen similar clothes, in New York stores. Why should I pay more! If can get more for less. Their store is wholesale that gives customers unbeatable prices at $1 and up. I can find items for my night out, work and play. Wholesale 7 product line is dresses, accessories, wholesale shoes, men, women and bags. Their sizes are from xs to plus size. Shopping can be endless for me. I can haul many items for any occasion. Fashion is important! It's what make you or brakes you. It's good to dress to impress. 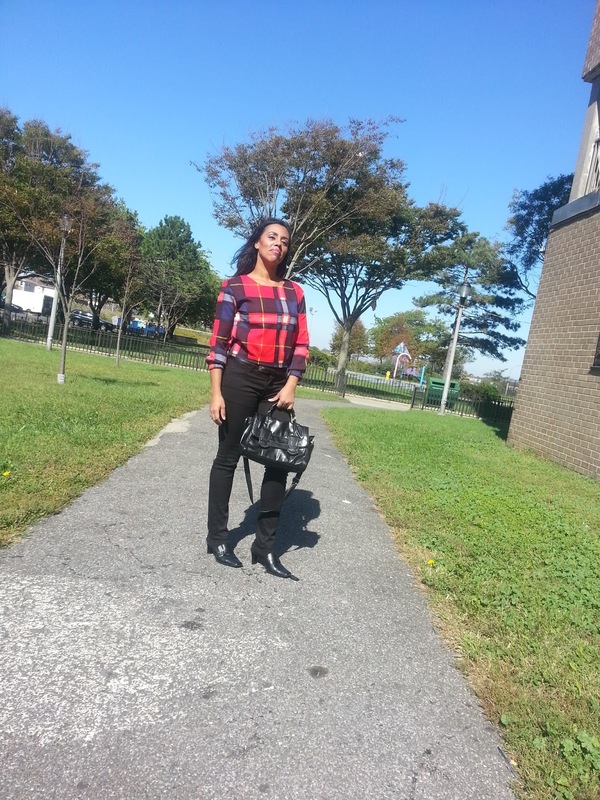 Looking good and feeling good is what makes to enjoy a nice day. I got a cute red top from Wholesale 7. The item is called womenly college style plaid print red fitted blouse. It retails for $5.38US and the material is nicely stitched and durable to last for years. I love my top and just perfect for any day. It fits all the categories for night out, work and play. I matched the top with black slim fit casual pants, thin belt, black stylish handbag and open back shoes. The weather was just perfect to wear the top. The top can be mismatched to look great with skirts, dressy pants and jeans. I can even add accessories with the top. A nice neck-less, earring, purse, handbag and bracelet will go great! I also paired the open back shoes with thin black socks to keep warm. You can't even tell, I'm wearing it! The top has colors from yellow, white, black, red, pink and matching it up with other items is easy. The top has a zipper in the back for easy opening and comes in one size regular. 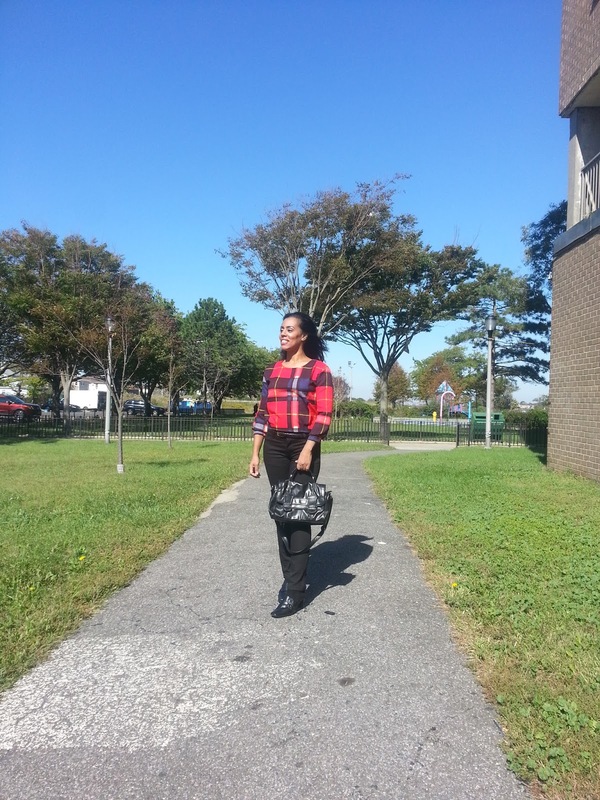 The womenly college style plaid print red fitted blouse is exactly as described and looks in their website. You can check the top for yourself or buy it at Wholesale7.net. While your there check their website for so many other items. 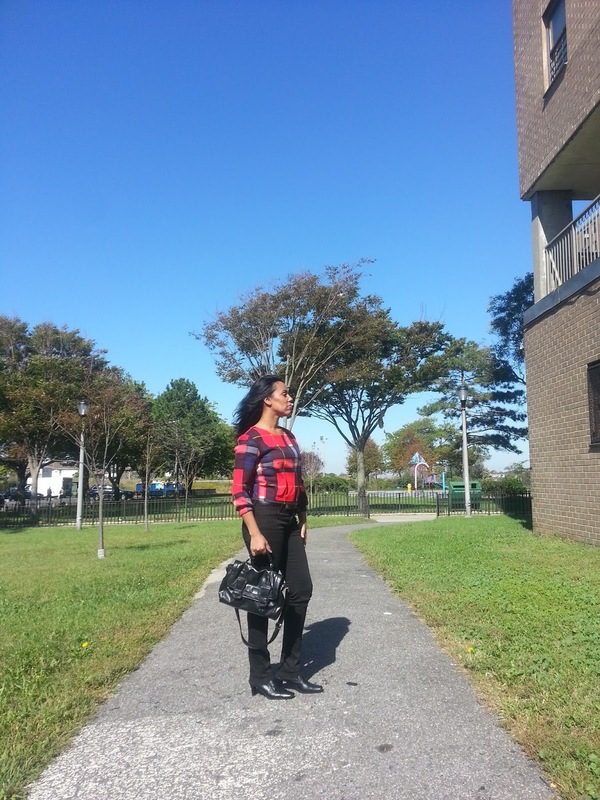 Checkout NY MOMSTYLE in the YouTube video clothing top review for Wholesale7.net below. It gives more details in the womenly college style plaid print red fitted blouse. Tell me what do you think of the red top and Wholesale7.net website? Wholesale7.net has so many product deals and offers. Follow them on YouTube, Twitter and Facebook. You look gorgeous. I love the plaid top. This is the first time I heard about Wholesale7. I will check this out. I think we'll start seeing more and more of these direct-from-China shops. Just hope they can improve their quality. Hey Scott the quality of the top I received was great. The stitching of the red top was nicely sewn and felt durable. I've never heard of this company. Is the quality of their clothes any good? A dollar seems extremely low, even for a bargain. I'll have to take a look. Thanks for the share. I love online shops that have reasonable prices! This is nice, I'd love to see more of their clothes. Thanks for sharing. The quality of the red top I received was great! The top is durable and nicely stitched. This is the first time I have heard of them. Very cute outfit! I could handle the super low prices myself! Super cute stuff and I absolutely LOVE the low prices!! I haven't heard of this store, but I will definitely be checking them out. Thanks! I like this style it really suits you. Love the shoes as well as the purse. Its nice outfit put together. I need to check out this site. I am glad to hear that it is nice quality. I love to save some money where I can, but I am always hesitant about products from China. Thanks for letting us know about this website. I love the look!! I never heard of this store before, but I'm a sucker for low and affordable prices. How do you like the quality? Is it still holding up? I know a lot of wholesale sites aren't as great as they look (I've had my fair share of run in's with the bad ones myself). Looking good! I never heard of this store before. However, who doesn't love great clothes at super affordable prices? I love how you gave alternative wear options for the items you had on. What great prices. Te outfit looks good on you. I admit I hesitate to order products made in China though in truth many products I use are. I mentioned before in a comment. The quality of the red top I received was great! The top is durable and nicely stitched. You look great! I love how you have styled this outfit. Perfect for fall. And I love that bag! I am obsessed with bags, so cute!